Becoming Leightons' first franchisee back in 1997 was far from an unknown territory for Tim Barrett. Prior to the move, he had already clocked up an impressive 18 years with the company and was more than familiar with its values and processes. 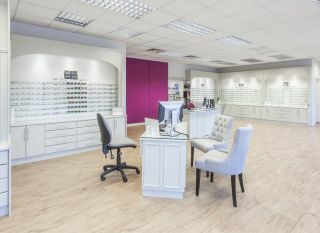 The chance to manage his own branch in Wokingham represented an attractive opportunity to combine this accumulated knowledge and experience with the independence that comes with running a franchise. From the outset, support was on hand to develop the necessary infrastructure, from implementing IT systems to fitting out the premises, and soon the fledging branch was established in the community. An additional factor in easing Tim's transition from employee to manager was the accessibility of senior management to provide support and guidance - something which remains just as valuable to him today. Said Tim: "I've never felt like I've had to jump through hoops to speak to the right person; it is the personal touch that makes a big difference and the fact that matters are discussed openly and that everyone is very approachable. "I'm given the freedom to run my practice; for example I'm not continually being told I must reach a set target by Friday, however the support is there if I need it." One such example is assistance with marketing and promotion, which Tim admits would be too expensive and time-consuming to manage himself. He appreciates being part of a larger group which can organise and implement promotional initiatives centrally across the group for maximum impact. This is more important than ever in an extremely competitive market, where word of mouth can no longer be relied upon and the need to attract new business is essential. Having spent his entire working life with Leightons, it is telling that Tim has never been tempted to work elsewhere. He attributes his longevity mainly to the values and approach of the business which are firmly aligned with his own as well as the greater sense of satisfaction he feels from running his own business. "I've always liked the fact Leightons is a family business and it's a comfortable environment with quality products and a good reputation. Our approach is not about a hard sell or high volume of goods - that may work for others but it isn't what we are about." Loyalty is a reoccurring theme, extending to his staff at the branch, many of whom have been a part of the business from the outset, as well as the customers. Tim's long service means he now regularly treats second generations of patients from the same family, something he finds particularly rewarding. "I have immense loyalty to Leightons and have always found it such a friendly business to work in. I have never been tempted to work for a multiple chain and never would be." 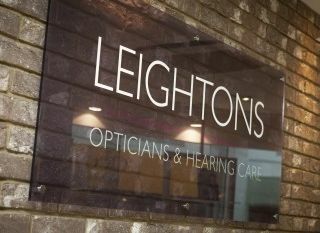 For more information on Franchising with Leightons Opticians, call us on 01252 823400 or download our brochures.